Several U.S. Masons have asked me online and backchannel if there is any regular, recognized alternative to belonging to the Grand Lodge in their state. As far as I know (and feel free to correct me, anybody who may have different information), in most cases, you cannot join a jurisdiction outside of your home state unless you actually live in another one, and generally for a year. Dual memberships are common, in situations when you move to another state and become a resident there, but still want to retain membership in your Mother Lodge. However, there are jurisdictions that do NOT allow dual memberships in different jurisdictions at all (and I know it is not allowed by virtually every Prince Hall Affiliated grand lodge, who generally don''t even allow dual lodge memberships within their OWN jurisdictions). The United Grand Lodge of England (UGLE) constituted Internet Lodge No. 9659 in 1998. It is a regular, recognized lodge that is open to any existing member of the UGLE, or any other Grand Lodge that is in amity with the UGLE (see the list here). They hold a physical meeting in an approved English Masonic lodge three times a year, moving around the UGLE's territory with each meeting. The password-protected members only part of the site deals with the minutes and day to day business of the lodge (they do NOT actually meet over the Internet). They have members from all around the world who are real, authentic, regular, recognized Freemasons, and each meeting is followed by a traditional Festive Board for attendees. The catch is that its members must first be initiated, passed and raised in their own lodge before they can petition to join Internet Lodge. And each member must agree to pay all regular UGLE annual fees, along with their lodge membership. What I do not know is if you can demit from your Mother lodge, become an unaffiliated Mason, and then still be allowed to join Internet Lodge. I know you must technically be a Mason in your home jurisdiction when you join, but I don't know if you actually are required to maintain a lodge membership in your home jurisdiction. I suggest you contact both Internet Lodge's Assistant Secretary, as well as your own Grand Secretary to make sure the proper rules are followed. Similar to Internet Lodge is Ireland Lodge No. 2000, a regular, recognized lodge chartered in 2000 by the Grand Lodge of Ireland AF&AM. Like Internet Lodge, members must be Master Masons in good standing of a jurisdiction in amity with the GL of Ireland, and its rolls are comprised of an international group. They meet four times a year, at different locations throughout Ireland. The June meeting is always held in Dublin, and is traditionally the one with the most foreign visitors. They also have a secure, online chat room and hold monthly gatherings (except in December) via the web. Degrees are not conferred by the lodge, and Masons wishing to affiliate with them must be initiated, passed, and raised in another lodge first. 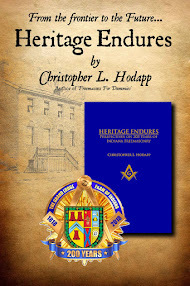 Finally, the Grand Lodge of Manitoba (Canada) chartered Castle Island Virtual Lodge No. 190 in 2012, and to my knowledge, it is the only truly Internet-based lodge in the world working under a charter from a regular, recognized grand lodge. (It's also the only lodge on Earth where you can be home 10 seconds after the last gavel falls!) The lodge meets online on the 5th Wednesday of those months that HAVE 5 Wednesdays, at 7:00PM Central Time. Visitors are welcome, but must first contact the Lodge Education Officer at Leo.civl.190@gmail.com or the Secretary at craehw@gmail.com to be given access. They must be from a jurisdiction that is in amity with the GL of Manitoba, and send a photograph of their current dues card along with a brief biography to the LEO to be "admitted" to meetings and the secure portion of the website. For the meeting itself, visitors must have a computer equipped with a microphone and camera, and they use Webex technology as a secure online conferencing method (originally, the lodge was designed as part of the "Second Life" virtual 3-D community, but a more secure meeting system was desired). Ritual used is the Canadian Work (a variation of Britain's Emulation ritual), and visitors are expected to tyle their own computer's location during online meetings. I have received a message that claimed the GL of the District of Columbia allows Masons to join their lodges without actually being a resident of the District or the immediate surrounding regions in Maryland and Virginia. But because DC has suspended fraternal relations with both TN and GA, this complicates the issue. Under the current circumstances, I don't know if DC is willing to act as a safe haven for disaffected Masons from those two states. Please contact them directly to clarify this. Also, the Grand Lodge of North Carolina and the Grand Lodge of Alabama have no residency requirements, and allow multiple dual-memberships. There are undoubtedly others of which I am unaware, and with recent events, more jurisdictions neighboring troubled states may very well be making changes to these developments as I type this. It is probably best to simply contact the Grand Secretary in your neighboring state and simply ask if you might be permitted to affiliate or join outright if your permanent residence is outside of their territorial borders. TAKE NOTE: In certain cases, discretion may be vital when doing this. You may wish not to disclose your identity when making your initial contact out of state in case your own home grand lodge is vigorously attempting to prevent their own members from defecting. 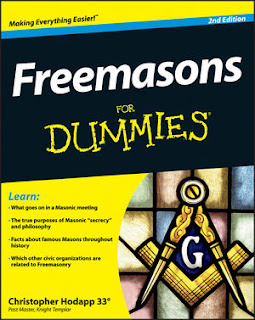 Do your research and find out all procedures required to transfer out by both grand lodges before you reveal yourself. There are generally territorial rules that have been enacted specifically to prevent what you are attempting, which is why the above alternatives are most dependable. Also, be aware of the timing involved when it comes demitting in your state. Different grand lodges demand very different paperwork, such as letters of good standing. If at all possible, retain your current paid-up membership in your home jurisdiction, at least until you have a dues card or other official notice that you are a full member in your new out of state lodge. Only then can you safely pull the plug on your old one. And always be aware that an 'honorary' membership is not the same as a full fledged, dues paying, card-carrying membership in another lodge. Honorary memberships carry zero weight when it comes to Masonic jurisprudence. You must write to the Secretary of the GL of Tennessee and ask for a Certificate of Good Standing. This is NOT the same as a demit. Do not demit. This certification allows you to remain a member in good standing while you seek membership elsewhere, in another jurisdiction. You will need to get a new Certificate every year until you find a new home. If you are a just and upright man and Mason and want to join a regular lodge of Masons, you are not required to remain a member of the Grand Lodge of Tennessee in order to enjoy the fellowship and fraternity of the oldest organization in the world. Please be calm and do not demit your membership until you find an alternative. When you have information, I should be grateful. I have been in contact with many lodges who will accept unaffiliated masons who have demitted from Tennessee. Unrelated to the sentiments regarding other issues at hand, I am in the unusual situation where I have both moved away from Tennessee AND I travel to DC for work periodically. So I cannot visit some close friends and Brothers unless I re-affiliate elsewhere - and I was looking to transfer to my new home town anyway. I have been discussing this at length with many lodges and jurisdictions. It is also possible to affiliate without the requirement for residency in most cases, especially in an area where you may travel often or have close masonic friends or family. But - you typically need to go visit, or have some regular contact with that lodge for the members to be comfortable with your character or possible motives. You cannot, however, re-join the fraternity entirely in another jurisdiction if you are not in good standing at home (in most cases) or a resident of that jurisdiction. A lot of this is dependent upon that particular lodge secretary and the sentiments of the Grand Master of that jurisdiction. I have also spoken with Brothers who have successfully demitted from Tennessee and re-affiliated elsewhere already. We also had a member just get a response from Internet Lodge, and they are willing to accept petitions for affiliation using their online forms. I hope that is helpful, yet harmonious, information for any Brothers asking. A question you may or may not know the answer to: if a US Mason in good standing joins Internet Lodge, can he then demit from his home grand lodge jurisdiction and still be a Mason in good standing, now of the UGLE? I'm a member of IL9659 and asked this question several years ago. I was told "yes," I could demit my lodge in the US and be solely a UGLE Mason. I belong to no other lodge/ GL but IL 9659/UGLE. Brother Chris, I have some additional information for my Tennessee Brothers. Once you have your Certification of Good Standing, you can apply to IL 9659 here. The next Communication is in August 2016 so there is plenty of time to get a Certificate of Good Standing and apply. Once you have become affiliated, you may demit your membership in the Grand Lodge of Tennessee. You will then be a card-carrying member of the United Grand Lodge of England, recognized the world round. What is more, I have been assured that if there is any blowback for a Tennessee Freemason who wishes to affiliate with IL9569 it will be handled promptly by the United Grand Lodge of England. Brother Chris -- I am a member of Internet Lodge and served as its Master in 2013-14. The information on how to join here is accurate. However, I have another option available. The Grand Lodge of Ireland has Lodge Ireland 2000, which is Ireland's answer to Internet Lodge. It meets 4x/year in Ireland and it moves around the country for it's meetings. It is a much smaller lodge in number of members than Internet Lodge. I am also a member of this lodge. Jim, I just posted information about Ireland 2000, ad well as Castle Island #190 in Manitoba. I'll repost it here tonight. Having been a member of 2000 to get its publications, I can attest to its very knowledgable members, and should add that no visit to Dublin is complete for masons than to the Irish grand lodge, which is centrally located in a fascinating building. I dont know what the status conferred by research lodges in general is - generally they require another membership. Recently the Research Lodge of Southern California has got up a good head of steam and vastly improved its publications. I wonder if a gay person affiliated with Internet Lodge will be able to attend Tennessee and Georgia lodges? But why would any sane person want to do so. Like visiting the local garbage dump. And let us hope that Georgia and Tennessee will be declared open territory by grand lodges like the District of Columbia. Friends, enough is enough with the southern racists. They aren't real masons. Let's not torture ourselves. Dump them and we will all sleep at night. I have masonic friends who have been insulted by them because of their color just in the last couple years. Military friends who have fought overseas. Can you imagine that. The sight of a grand officer from Georgia or Tennessee is enough to make anyone throw up. Send them some soiled white sheets. Don't let them drag all the rest of us and our fraternity into the sewer. My brother, there are those of us here in Georgia who labor to keep the true light of Universal Freemasonry bright. Don't paint all of us with the same brush. We are as distressed as you are by recent events here. Our lodge meets 3x/year -- March, August, and October. Our annual meeting is always in Manchester and that is in March. Our other meetings are held around England and Wales and are picked by the incoming Master of the Lodge. We have members on every continent of the world (except Antarctica) and our meetings usually attract an attendance of 50+ Brothers. It truly is an incredible lodge. I hope my comments here are unnecessary, but you never know. Thanks!! Grand Lodge of North Carolina AF & AM does not require residency for affiliation. It also allows unlimited plural memberships. We further recognize and encourage visitation with virtually all Prince Hall jurisdictions. Ric Carter, does the GL of NC have a stance on the current issue at hand? I know the NC state legislature passed some unfortunate legislation around this topic. The Grand Lodge has not taken an official stance at this point. We have homosexual members who are valued for their integrity, community contributions, and Masonic zeal. I recently attended a festive board where a brother gave a presentation about visiting England. He visited many lodges in England and Scotland. He mentioned that our modes of recognition are not quite the same in the U.S. as they are in the UGLE. I am sure these wouldn't be the only differences between the jurisdictions. If someone becomes a Joining Member of Internet Lodge #9659, how does he gain knowledge about the differences between the two jurisdictions? Are there any members of IL #9659 in Indiana? I would like to discuss this in person. Proper letters of introduction from your Grand Lodge Secretary takes care of a lot of this. Once on site brothers are more than happy to assist you in not looking totally foolish. In virtually all cases these differences are of minor consequence. Coming from a Lodge under the Scottish Constitution we have variations from Lodge to Lodge as there is quite a bit of flexibility allowed. Just come as you are brother. Bro Bob, did you get any information? I too am a WM in Indiana and am very interested in picking up a plural membership or two in case our GL drives itself into the ground.. I was initiated, passed, and raised in Goliath Lodge #5595 UGLE. However, I am originally from Marblehead, Massachusetts, and my brother is a member of Philanthropic Lodge there. I wanted to join there so that I could have a US membership and be a member of the same Lodge my brother was. I use my English modes of recognition. I was told that a brother who is a joining member of a lodge in another jurisdiction should use the modes of recognition of his mother lodge, as it might be confusing to try to learn two (or more) sets. I do get a few stares when I use my UGLE 3rd Degree modes of recognition. Mr continental, is correct. One of the beautiful things about Freemasonry is it's variety and universality which starts in the Craft lodge. As a proud American Mason I really enjoy being involved in Canadian and English jurisdictions of Freemasonry. The slight variations form an area of educational interest and amusement for all involved because we are all truly on the "Level". Just as a related aside, outside of the United States, bear in mind that most lodges elsewhere do not provide aprons for visitors. So pack one of your own when visiting Masonically outside of the country. Please check Holy Land Lodge No. 50 under the Grand Lodge of Israel. Sou venerável mestre da loja Cavaleiros do Capibaribe 3795 Gope/GOB Gostaria de me comunicar com irmãos de outros países e aprender um pouco mais sobre MAÇONARIA.